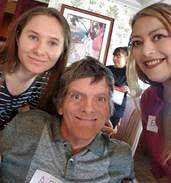 Our Blind Breakfast was a rousing success, raising funds to recover the visual independence of A.B. Hailey, who is deaf, visually impaired and mute. 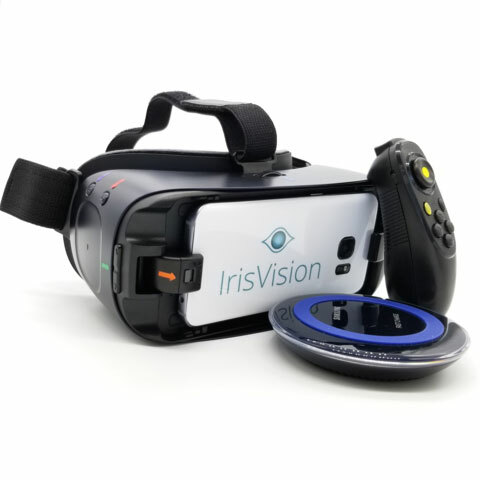 AB happily recovered his ability to see faces, read, see TV and computers with the use of his new IRIS VISION, an electronic wearable magnifier (see image below). Many thanks to all who made a difference in AB’s life! Here are a few videos we took at the breakfast. Please share these videos memorializing this special occasion with your loved ones and friends.